Colony House, an indie pop/rock band out of Nashville, TN will be playing at the Ready Room in Saint Louis this Thursday September 29 on a tour in support of The Mowgli’s. The band is touring in support of their upcoming RCA album ONLY THE LONELY, due to drop January 13, 2017. Tickets are available and can be purchased at the venue box office or online. [New York, NY – September 14, 2016] Nashville-based indie pop/rock band Colony House announces today that their second studio album ONLY THE LONELY will be released on January 13th on Descendant/RCA Records. Producer Peter Katis known for his work with Interpol, The National, Frightened Rabbit, and more worked with the band on many of the album tracks, as well as notable mixer Vance Powell (Jack White, Elle King, Beck). Colony House will be kicking off their 18 city tour with alternative rock band The Mowgli’s on September 20th at Bluebird Theater in Denver, wrapping on October 18th at Club Congress in Tucson with stops in New York, Chicago, Washington DC, and more. To purchase tickets, click here. See below for full list of dates and venues. Colony House premiered “You & I” on Billboard.com, and prior to it, announced their forthcoming album earlier this summer with the release of album track/ video for “You Know It” which premiered on Consequence of Sound. The video for “You Know It” was also co-directed by the band’s lead singer and songwriter Caleb Chapman. 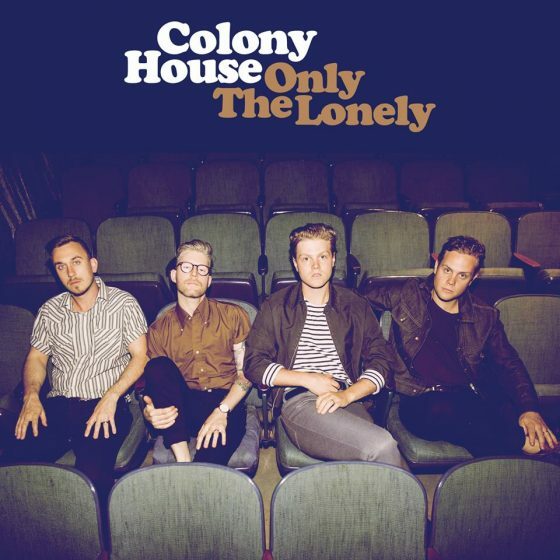 ONLY THE LONELY is the follow up to Colony House’s debut album When I Was Younger which featured their single “Silhouettes,” which has enjoyed over 8 million streams on Spotify and was the #1 most played track on Sirius XM’s Alt Nation for four months straight. The band has previously performed on CONAN, Late Night with Seth Meyers and VH1 “Big Morning Buzz,” and has been featured by NPR Music, Wall Street Journal, People Magazine, and Noisey, among many others. Colony House is brothers Caleb Chapman and Will Chapman, Scott Mills, and Parke Avery.